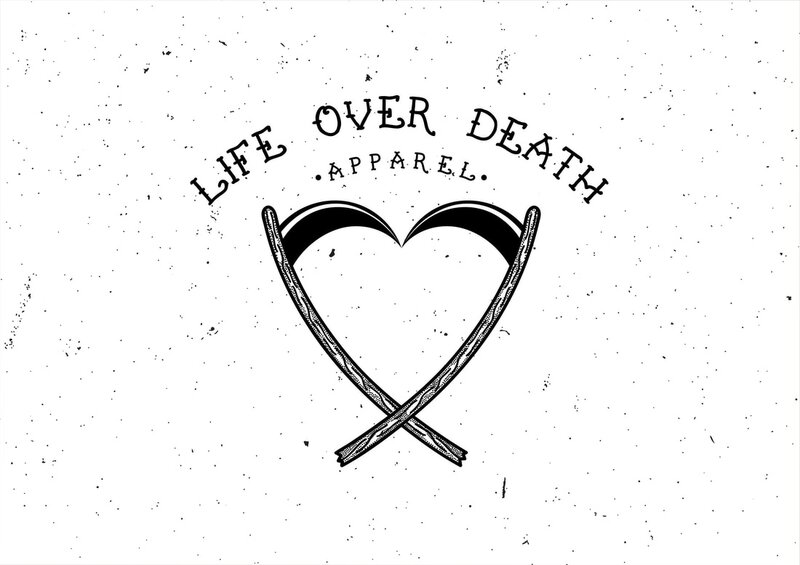 ​Life over death is a clothing line based in New York. 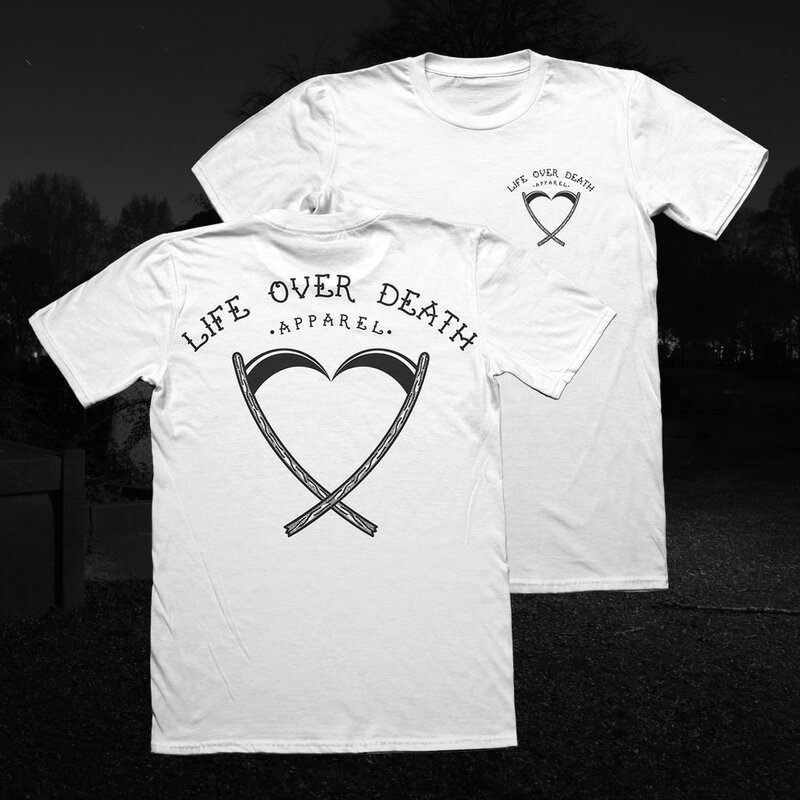 It is closely connected to the pop punk music scene. I was tasked to produce the crossed scythes to form a heart. Below shows how the design can work on a t-shirt.